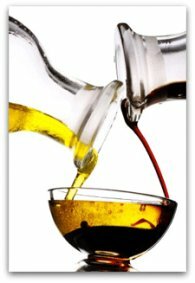 Where do I find the best recipes to suit my low carb lifestyle? That's a question you may be asking if you're new to low carb eating, or have you've been living this healthy lifestyle for quite some time. Either way, you will already know that finding great low carb recipes can be fun as well as challenging. We have found that many of the best low carb recipes are actually based on traditional favorites. Remember that "comfort food" you had to abandon in the quest to lower your carbohydrate intake? Well maybe... just maybe, there's a low carb version. This is the place where you can find a favorite recipe or... in the spirit of sharing... you can contribute one or more of your very own favorites. 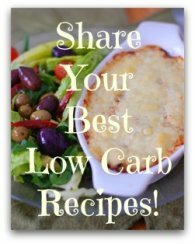 Here's a real opportunity to share your best low carb recipes and help your low carb friends as well. You can FIND a recipe. You can SHARE a recipe. It all happens here! Have A Great Recipe You'd Like To Share With Us? Don't you love just how creative some folks are? It's as if they create magic! That's also true when it comes to creating new low carb recipes, or low carb versions of existing favorite recipes. Sometimes even something obvious to one person, can be a "light bulb" moment for someone else. So, here's an opportunity for you to share a little culinary magic of your own. All you have to do to make magic is jump in and share a recipe or two with us. We will be forever grateful. Here's a suggested format to follow. 5 Anything else you would like to add. Do you have pictures of your finished dish to add? Great! Click the button and find the first one on your computer. Select it and click on the button to choose it. 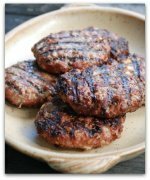 Click on the links below to see some great low carb recipes. They were all written by other visitors to this page. Return from our Best Recipes Page to Home.